Buy more & Save. Savings reflected at checkout. 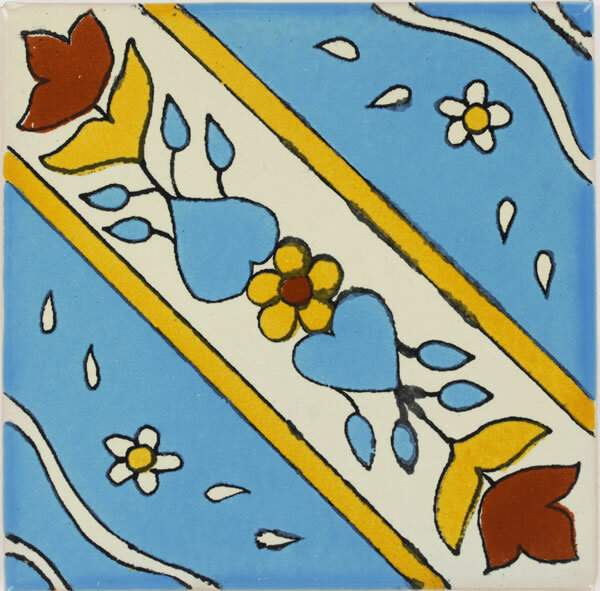 Mexican Talavera ceramic tile exudes a natural magnetism that invites to be seen and touched. Made of clay and glazed by hand with natural color pigments, then baked in a kiln in which the colors become alive and vibrant, it acquires a somewhat rustic and timeless appeal. Our Talavera Collection is a compilation of designs from different origins. The tiles are ideal in just about any ambience whether Spanish, Italian, Moorish, Mexican, Mediterranean or Southwest style architecture. The tiles are made from clay dug out of the ground and fired to a temperature at which the clay undergoes chemical changes and becomes permanently hard. 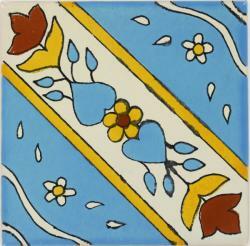 Then the tile is glazed and decorated by hand, and fired once again to give it its final and lively finish. 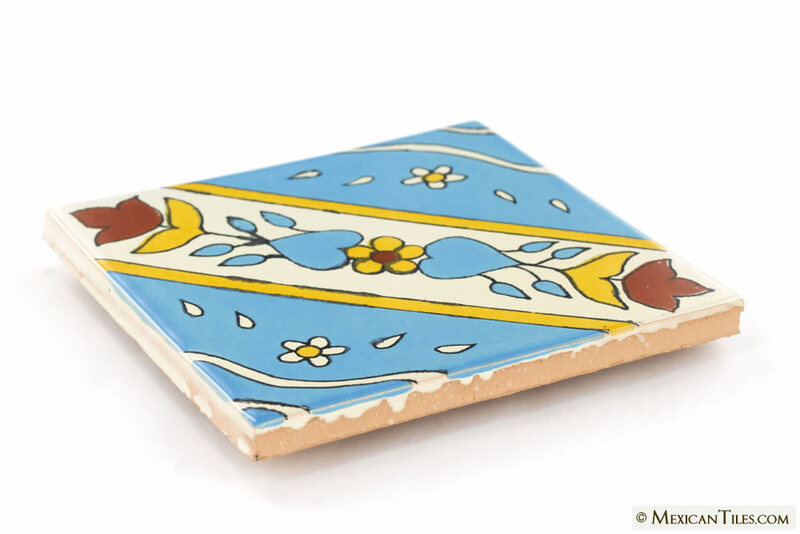 Its physical characteristics make Mexican tiles particularly attractive and distinctive. 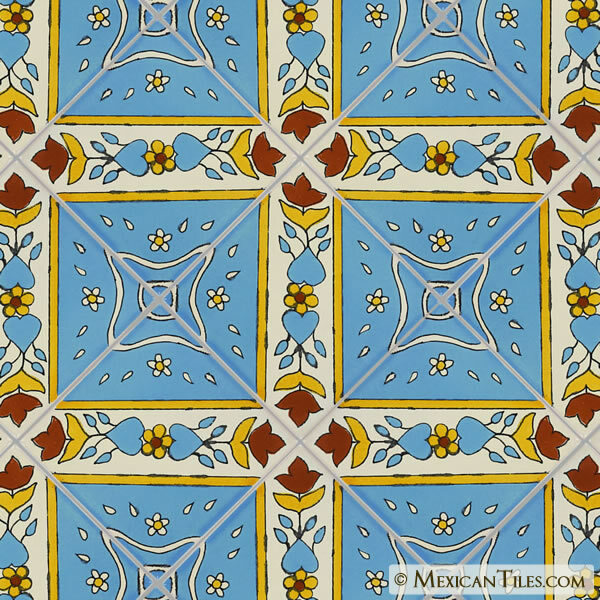 Mexican tiles are concave (not perfectly flat). They are characterized as unique, irregular, functional, and expressive. Due to handmade nature, tiles may vary by up to 1/4 in. Sizes are nominal, meaning that sizes vary from the actual. Crazed Effect: Crazing effect refers to small cracks on the surface of a tile, characteristic which is inherent and may be visible before and/or after installation. However, over time this attribute may become more prominent or can be enhanced by using a contrasting colored grout. 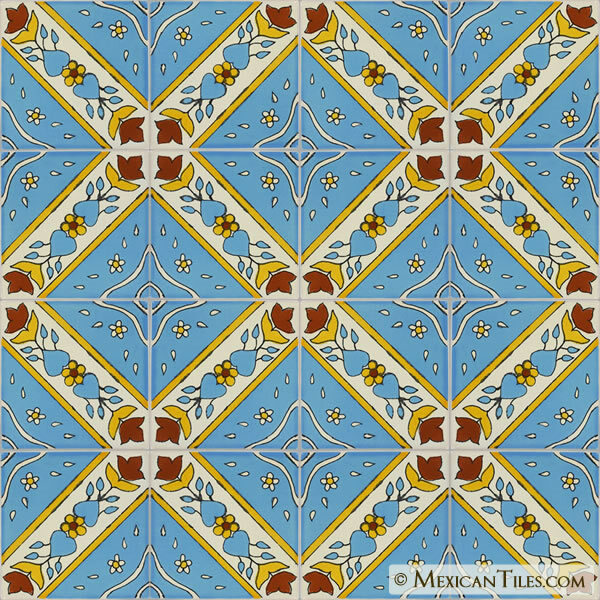 Finish: Due to the sensitive nature of talavera tiles surface scratches may be prominent in dark colors. For example, Cobalt Blue. All Talavera tiles have a glossy finish. Color variation within individual tiles. Variations in thickness, flatness, size, & squareness. 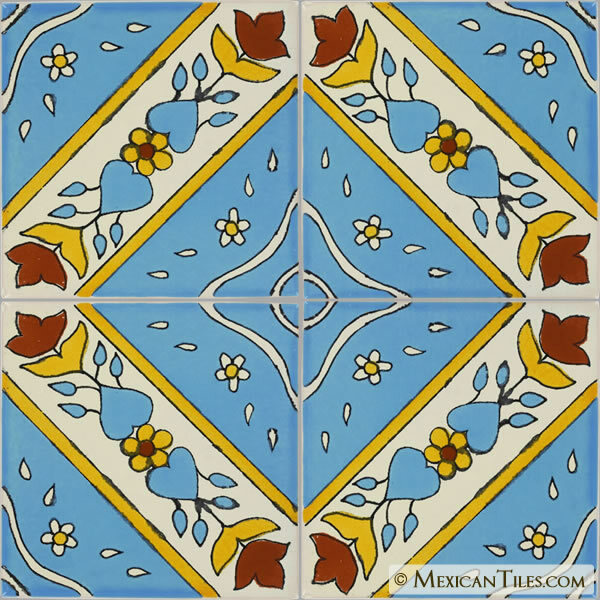 Each of our Mexican talavera tile is unique and handcrafted. The hand made nature gives it a warm and rustic finish. The tiles are made from clay dug out of the ground and fired to a temperature at which the clay undergoes chemical changes and becomes permanently hard. Then the tile is glazed and decorated by hand, and fired once again to give it its final and lively finish. Its physical characteristics make Mexican tiles particularly attractive and distinctive. • Moist areas where tiles are not submerged in water. Grout: Sanded grout if joint is greater than 1/4 in.